ELMA: Business Process Management ›	SOA Connector ›	Examples of using HTTP requests to start a business process. 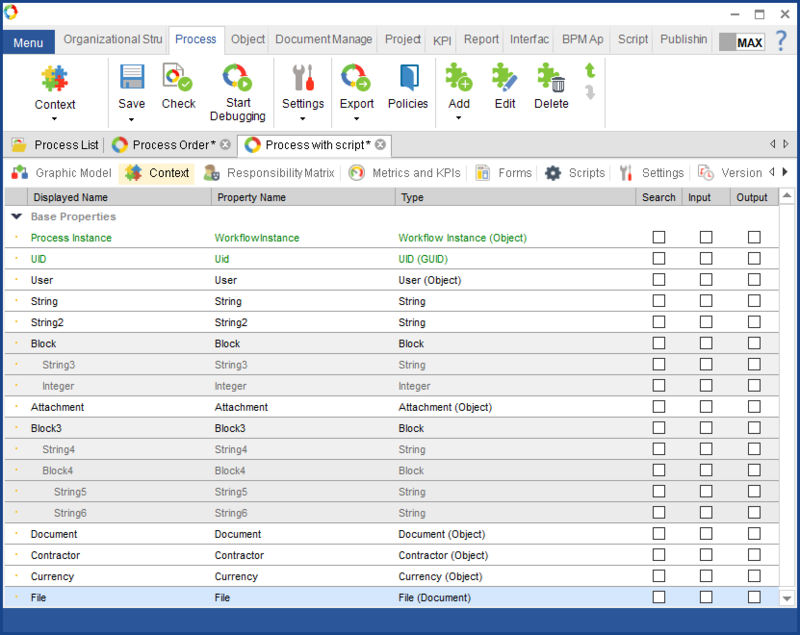 With HTTP requests you can start business processes in ELMA. ELMA supports GET and POST requests. open the "Settings" tab of the process. In the Process Start Variants section check the "From external systems" box. 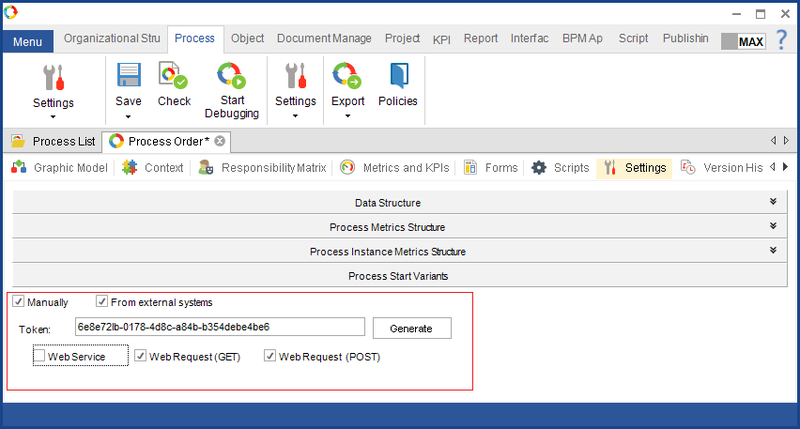 generate a process token or enter it manually. To generate the token automatically, click "Generate". The token is needed for identification, therefore it must be unique for each process. specify the type of request that you want to use to start the process (GET or POST). CompanyName is the property name of a process variable. You can find the property name in the Context tab. ContactPersonPhoneNumber is the property name of the "Contact Person's Phone Number" context variable. In a POST request, you can specify the parameters to pass values of process variables of all types. To start a process with a POST request, you can create an HTML for the user to fill in before starting the process. String is the name of the property of the String context variable in the process. You can find the property name in the Context tab. 1. Run the HTML form in a browser. In name="Block.String3", Block is the name of the block,  is the number of the string in the block, String3 is the block's context variable. In name="Block3.Block4.String", Block3 is the name of the block, Block4 is the name of the nested block,  is the number of strings in block (nested block), String5 is the context variable of the nested block. In name="User.Id, User is the context variable of the User type,  is the user's number, Id is the user's ID.